Lewis Rhymes was Private (7657) with the 1st Battalion, The Gloucestershire Regiment, and participated in the Battle of the Aisne and the 1st Battle of Ypres, before being severely wounded in action at Festubert, near Givenchy, France, on 20 December 1914. He was evacuated to the rear and died of his wounds in hospital at Boulogne on Christmas Day 1914, age 29. Lewis was born in Chipping Norton on 31st March 1885, the son of Edwin and Eliza (nee Thompson) Rhymes. He worked as a farm labourer before enlisting with the 2nd Battalion, The Glosters, in 1904, transferring to the 1st battalion in 1910, and was serving with them at Portsmouth in 1911 prior to his discharge into the reserves that year. After a short employment with the Chipping Norton Gas company, he enlisted into the police with the Oxfordshire Constabulary in August 1911. After training in Oxford, PC 79 Rhymes was posted to the Bullingdon Division in September 1912, stationed in Thame. 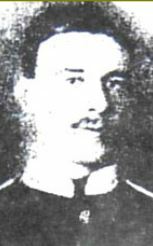 He married Ellen Sale in Abingdon in July 1914 and transferred to the Ploughley Division in June 1914, moving into married quarters at Bicester. He was recalled to his Regiment on the 4th August 1914, and disembarked with the 1st Battalion at Le Havre a few days later on the 13th. In the spring of 1915 Ellen gave birth to Edwin L H Rhymes, a son his father never saw. 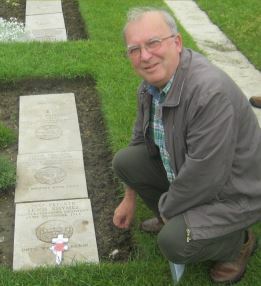 7657 Private Lewis Rhymes is buried in Boulogne Eastern Cemetery, France. He is commemorated on the Chipping Norton war memorial, and his name will be added to Thame war memorial by Thame Town Council.